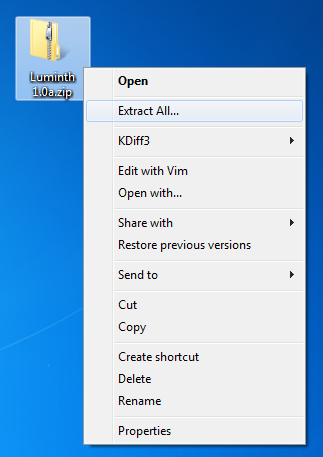 When you purchase Luminth Orbiter (or download it for free using an offer code), you will receive a zip file containing the software. Here are the instructions for installing and running Luminth Orbiter. Click the “Browse” button to select a folder of your choice. This is where Luminth Orbiter will be installed. 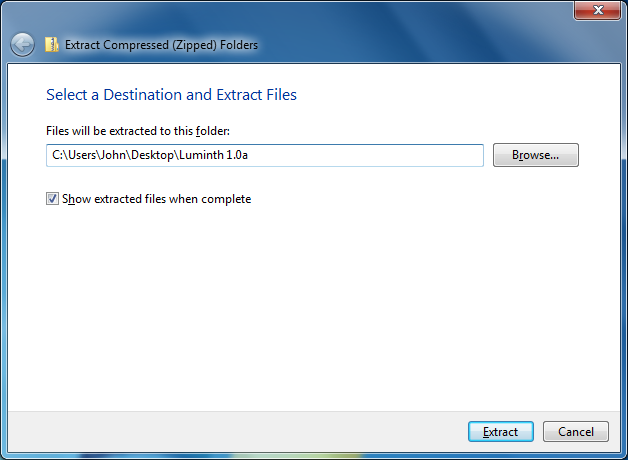 Check the “Show extracted files when complete” box and click the “Extract” button. Double-click on the file named “Luminth Orbiter 1.02” (or similar) to launch the program. In most cases, Windows will automatically detect your Luminth peripheral when you plug it into your computer. To use Luminth Orbiter together with your Luminth peripheral, read the “Luminth Quickstart Guide” visible in step #4 above.